Ultradrol by Antaeus Labs was the very first (officially) MethylStenbolone prohormone launched on the market. Ultradrol contains 90 pills and each one is dosed at 4 mg of 2,17α-dimethyl-5α-androsta-1-en-17β-ol-3-one (MethylStenbolone) ! Alike other Methyl Sten prohormones, Ultradrol is currently the strongest prohormone available on the legal market ! Gains from Ultradrol are massive : you should expect a big increase of your muscle mass size, strength and power ! Designed for bulking cycles, you can also take Ultradrol to do a cutting / recomp cycle if you have a proper diet. No doubt for this one, you will need cycle support supplements for the protection of your liver and other health functions and also a real post cycle therapy with SERM ! Are you looking for some massive muscle size gains ? 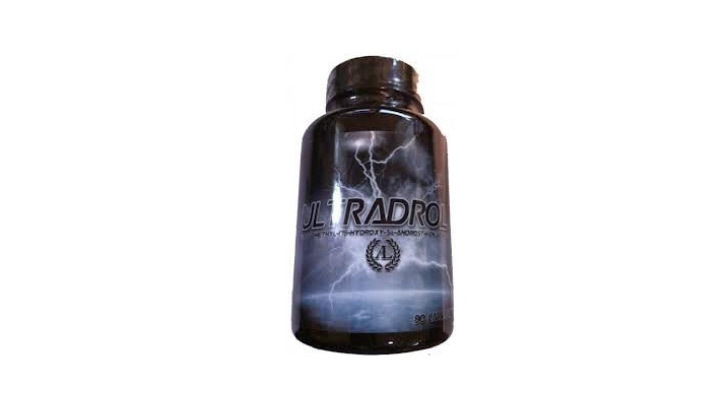 Ultradrol by Antaeus Labs is one of the most potent and strongest prohormone ever produced ! With his ingredient 2,17α-dimethyl-5α-androsta-1-en-17β-ol-3-one (MethylStenbolone), you will be able to pack on some great muscle, power and strength gains ! This methylated prohormone is mainly dedicated to advanced users as it gives real and serious mass gains which is a perfect for a bulking cycle. No wet gains as Ultradrol produces no conversion to estrogen and gains are pretty much “lean” if you have a clean diet. Where to buy Ultradrol – Antaeus Labs ? Ultradrol is no longer available on the market. We recommend you to read our article about the best prohormones of 2019. Want to share your review for Ultradrol – Antaeus Labs ?